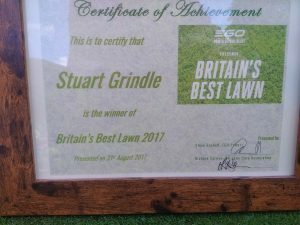 August 2017 – Stuart Grindle and his Doncaster lawn have been crowned the winners of Britain’s Best Lawn 2017. 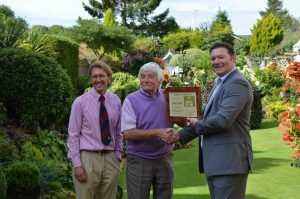 The competition, sponsored by EGO Power+, the specialists and leaders of cordless technology in the garden, is now in its 12th year and celebrates passionate gardeners and rewards them for their dedication. UKLCA Chairman Richard Salmon signed the certificate as one of the Competition’s judges. 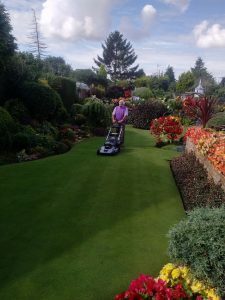 As well as the prestigious Britain’s Best Lawn title, Stuart will also receive a lawnmower and multi-tool, both powered by EGO’s arc-lithium battery which is the most powerful and technologically advanced in the industry. 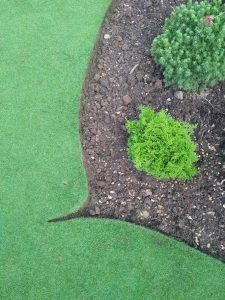 During the height of the mowing season, Stuart can be found tending to his lawn twice a day, three times a week. 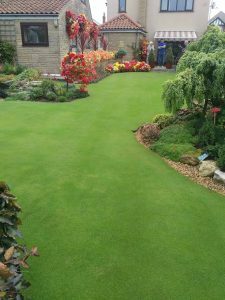 His lawn, and its meticulous edging, takes approximately an hour each time, meaning that Stuart has clocked up some impressive gardening hours over the 40 years of looking after his lawn!